Going from hanging in the hood to performing comedy on Jay Leno’s Tonight Show, not to mention the privilege of afterward being invited to take a seat on the “couch” which not many comics are asked to do, has been a long and fulfilling journey. Corey’s film and television credits include independent film Who’s Watching The Kids?, Wild ‘n Out, Last Comic Standing, 20th Century Fox’s Like Mike, a recurring role on UPN’s Half & Half, BET’s Comic View, Fox’s Mad TV, Def Comedy Jam, It’s Showtime at the Apollo, Shaq’s All Star Comedy Jam, Tyler Perry’s House of Payne, Rickey Smiley Show and plays recurring character Robert Tubbs on Fox’s The Cleveland Show! 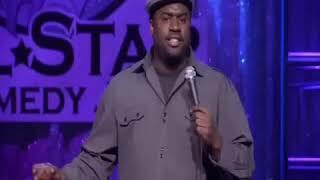 He has appeared in three comedy specials of his own, Corey Holcomb: The Problem Is You, Comedy Central Presents: Corey Holcomb and Showtime Presents: Your Way Ain’t Working. You can currently see Corey in the movie Think like a Man Too and Adult Swim’s Black Jesus. Service fees apply to tickets purchased on-line and at the ticketbooth.Must be 21 & up to enter; except on Friday's at 10:30pm which is 18 & up to enter.